When people hear noise overhead, they look up even if they know it’s an airplane or helicopter. 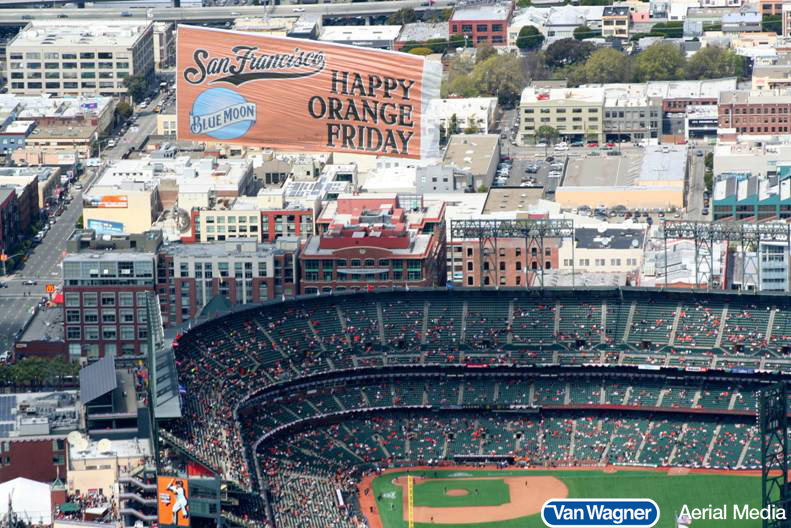 When a banner comes across the sky, people will look at it, regarless of whether they want to see an ad or not. That's what aerial advertising does so effectively, whether you want to or not, you will look up. People have short attention spans. You don’t buy a magazine to look at the ads. The same goes for social media marketing. If you’re scrolling through Facebook, you’re more interested in your newsfeed than anything else. With increasing amounts of content for people to consume, they dedicate less and less of their attention to each piece. With aerial advertising, however, you can keep the consumer’s focus. When you see an aerial banner in the sky, you’re going to remember it for a while. Once the banner or blimp has passed, people will continue on their way, but aerial advertising holds people’s attention far better than other advertising channels and has better recall. The content of the message will depend on what the business is trying to accomplish and what the venue is. Whatever approach you use, it’s important to take into consideration the event and its match to your target persona(s). 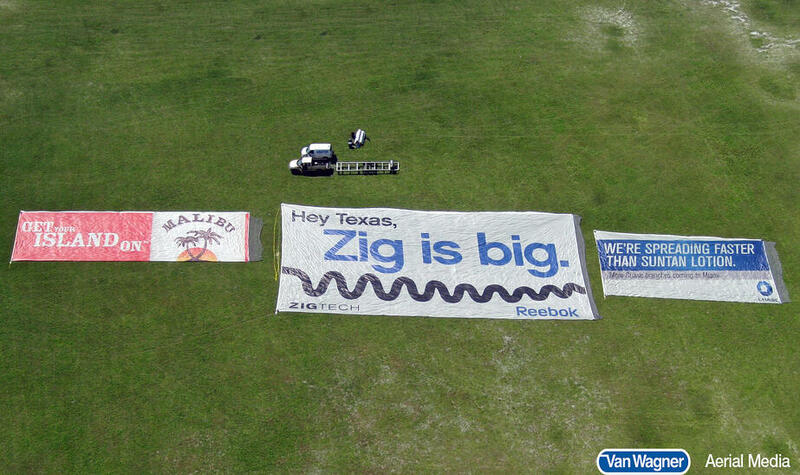 Aerial advertising allows businesses to have a well-rounded marketing campaign. Most businesses will have a presence digitally and on the ground with some kind of print advertisementor activation and aerial is the last piece of the puzzle when developing an effective initiative to raise brand awareness. Blimps offer a unique opportunity to partner with broadcasters that no other advertising medium can rival. Broadcasting major sporting or cultural events often requires aerial coverage. For the PGA, airships are the only way to get aerial shots. These sophisticated airships come fitted with a very high-tech, high-definition broadcast quality camera system, which is linked to the ground. It sends images taken above a stadium or an event to a broadcaster’s production truck on the ground. This allows for brand visibility overhead for those at a major stadium or event, PLUS it provides an on-screen presence for the advertiser. Generally, broadcasters will give a 10-second, live shot of the blimp coupled with verbal acknowledgement of the sponsor. Have questions about launching an aerial advertising campaign? Contact us today or click below for a free quote!